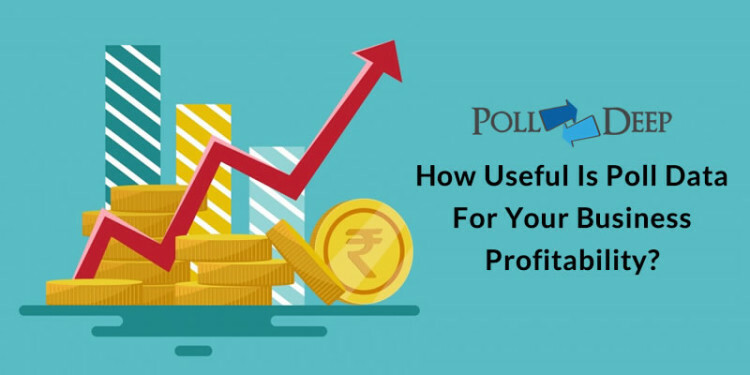 Home » Blog » Online Polls » How Useful is Poll Data for Your Business Profitability? In this way, business has evolved. Each is easier to access information and, of course, interpret it. You know what they say, information is power. So the more data you have, the better your company will develop. One way in which entrepreneurs have managed to get enough information is through the online poll. Thanks to this source of information, companies are able to obtain a lot of data and also analyze it. You see, companies are always looking for new information because they need to know exactly what their users need. By knowing that your audience wants your sales to improve and, therefore, all your income. When a new product is launched on the market, its profitability is evaluated. Knowing if this new product is going to be welcomed in a good or bad way by the public is necessary. And, now, to obtain this type of information, the online poll is used. Very easy. The company, first of all, must do a market study. And as part of that study, he defines certain tools that will help him obtain information. There are interviews, questionnaires, behavior observation and, of course, online polls. In this survey, they will choose a web page that has a high user traffic. That is where they will place the survey with the questions they have prepared. These questions must be prepared by marketing experts. Each company should keep in mind that the questions should be as appropriate as possible. The idea is to obtain valuable information about what customers want from the company and also what kind of needs they have. After the companies are posted on the website, users begin to answer the questions. Everyone should take their time and also give the most honest answers possible. Only then, the information is as reliable as possible and the most appropriate actions can be taken. When you receive the results of the survey that has been prepared, you must process the data. You must draw the statistics for each answer and see which are the most common. From there, the idea is to take into account appropriate actions to please your customers. A business becomes completely profitable when it gives its users exactly what it asks for. Because if they feel that they are listening and that in your business they have exactly what they need, they will keep buying more and more. The profitability of a business changes drastically thanks to the information sources it uses. So get everything better and have many more income thanks to the online poll. Several entrepreneurs have already realized everything that an online poll can do for them. Do not wait any longer to join.